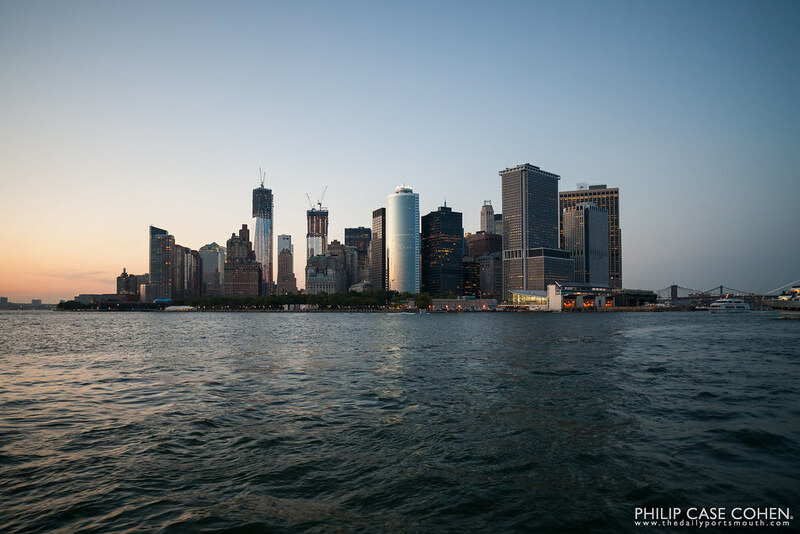 I had the pleasure of going on a harbor cruise around Lower Manhattan this past weekend. I loved the opportunity to see such a historic city that has seen incredible change since it was first settled, and dramatic change even in the past decade. The Freedom Tower can be seen in the frame, illuminated for the evening with red, white and blue interior lighting, among the other massive structures of Lower Manhattan. 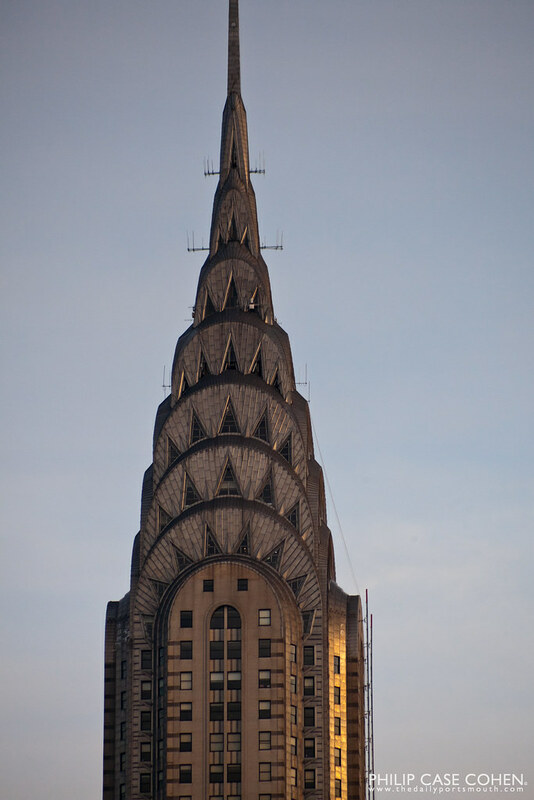 This is my favorite building in New York City – The Chrysler Building. There is a fascinating story behind how the crown was secretly constructed inside the building, and then erected once the spire was completed, so it could become the tallest building without its competitors being aware of its final height. I love this shot because it was taken on the fly. Sometimes you don’t have enough time to hit the spots you want to in order to keep on schedule with an appointment. That led me to shooting this building repeatedly through the sunroof of my wife’s car as we blazed down Lexington Avenue. I love a good challenge, and am pleased with the clarity and the presence in this shot, despite not having either of my feet on the ground and without having a tripod. I look forward to getting back to the city for a more traditional shoot. Today I’d like to wish everyone who celebrates it, a very Merry Christmas! 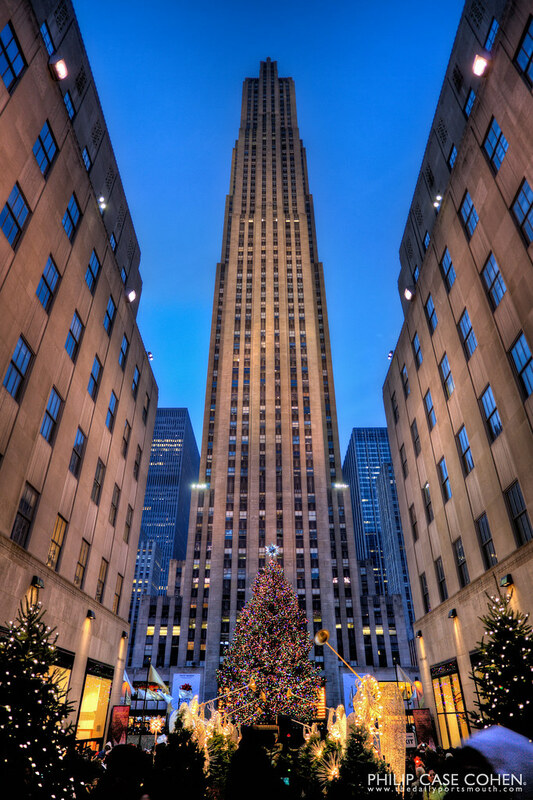 Today’s image is of one of the most recognizable Christmas icons in all of the US – the tree in Rockefeller Center. We ventured down last weekend (yes, the last weekend before Christmas) to check it out – and it was most definitely a ridiculously crowded and unique experience. This is using words that are really more kind than the event deserves, it was more like battle trying to dodge people trying to make their aggressive way through the immense crowd, but despite all the mayhem I was incredibly thankful for the experience and to share it with some very special loved ones. The tree was fairly far off in the distance, but it was a pretty cool scene (and everyone else thought so too, which prompted many stop-on-the-sidewalk-and-gawk sort of looks). Next time I think we’ll pick a weekend earlier in the year, but I’m glad to celebrate this holiday season with a trip to NYC to see the tree in Rockefeller Center. 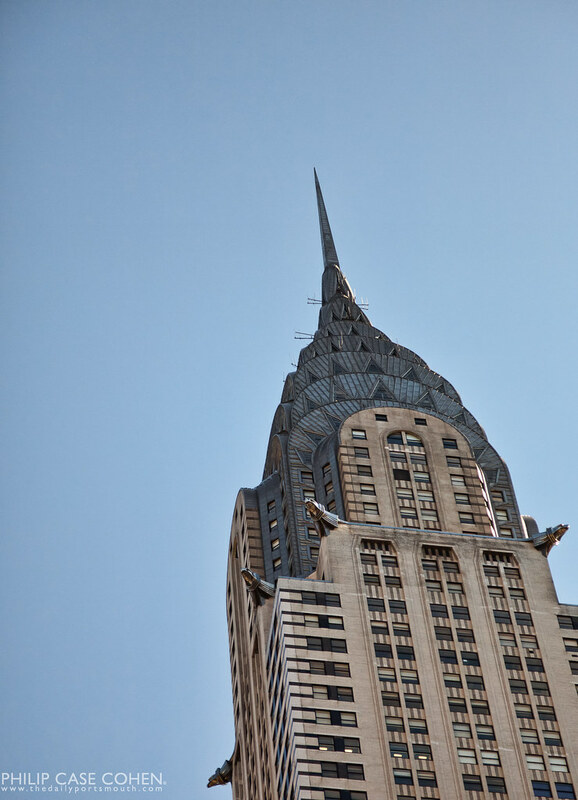 The Chrysler Building is probably my favorite structure in New York City. Its gorgeous art deco crown and spire just blow me away….so when I was down in the city this weekend with family and friends to see the tree in Rockefeller Center, I was thrilled when we got off the train at Bryant Park and had a gorgeous unobstructed view of the building. I thought today would be a great day to feature this shot, following up on a similar angle on Portsmouth’s very own North Church steeple. I hope to get back sometime soon with a more dramatic sky and a better lens…but in the meantime, I’m happy to share this shot from sunset with you all. Sunday was the first day I’ve spent much time in Central Park in the heart of New York City. I was in Manhattan to cheer on my fiance and future father in law in their big adventure running the New York City marathon (which they successfully did, crossing the finish line together!). 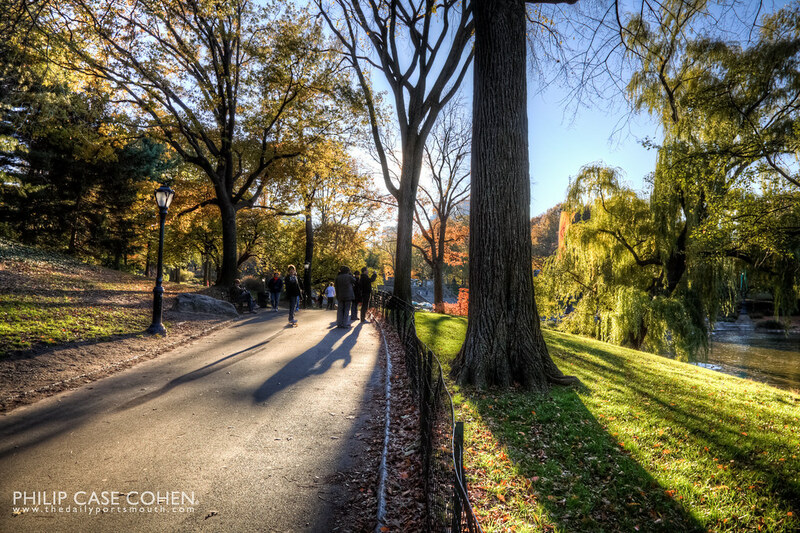 It was a gorgeous fall day in the city, with some gorgeous light in the park late in the day. Looking forward to getting back home to do some shooting this week…but I hope you enjoy a taste of something a little different for the day, and that you get out for a stroll in Central Park sometime soon! Today I wanted to feature a few of my favorite bridges on this planet we share. 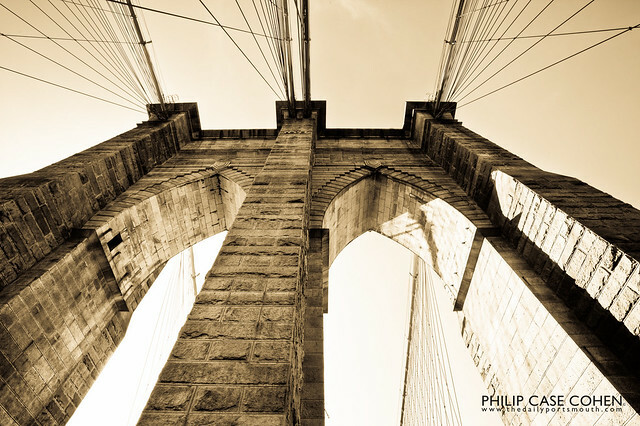 Above, is one of my shots of the Brooklyn Bridge from a recent trip into the city. I wanted to get a somewhat fresh take on the bridge that thousands of people have photographed thousands of times..it’s definitely one of those shots on every photographer’s bucket list. I plan to get back and shoot more, but this was another one I’m happy with in the meantime…and I thought I’d give a bit of an antique treatment to honor the age and timelessness of the structure. 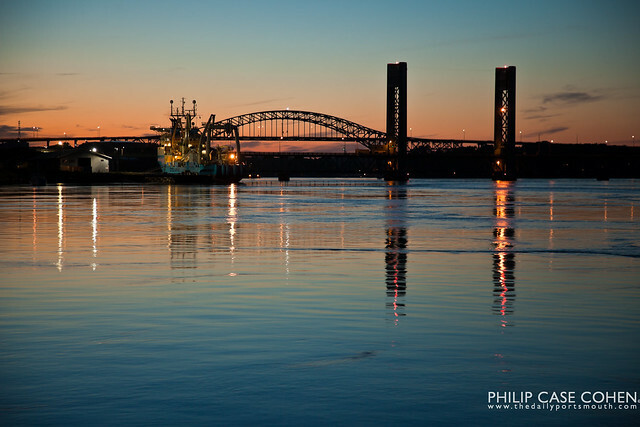 Below you can enjoy one of my simple shots of a beautiful late evening over the Piscataqua River. I don’t think I’ll ever tire of the view…I enjoyed the deep blues in the evening sky with the faint hint of orange from the setting sun. The freighter and the lights on the bridges and the reflections add a peacefulness to the shot that keeps me coming back. 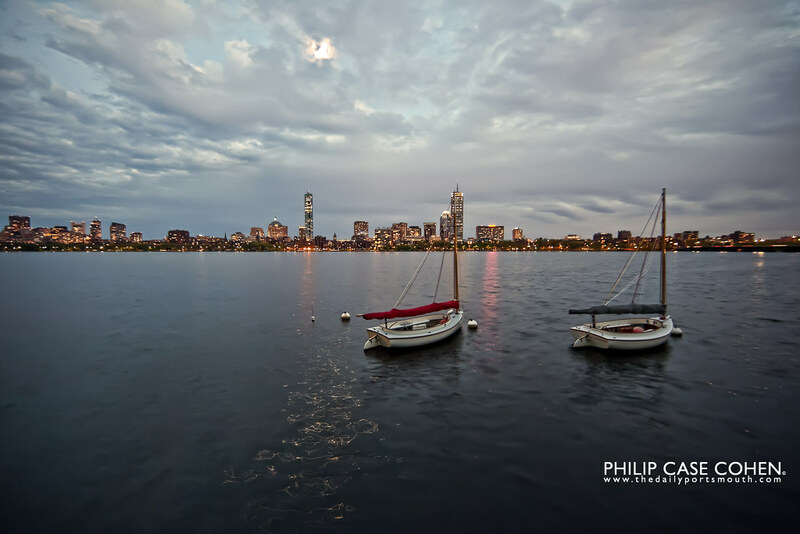 Today features two of the most recognizable skylines in the United States. Above you can see the Prudential Building and the Hancock Tower with the Charles River in the foreground. 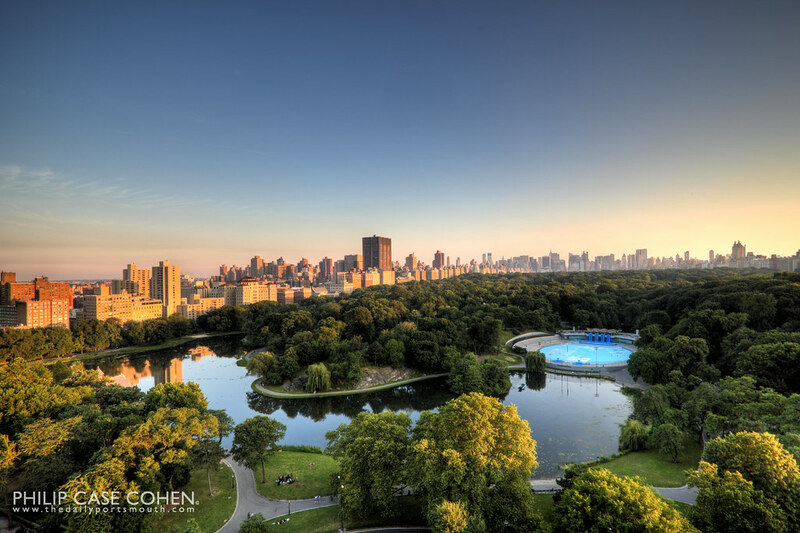 Below, you can see a beautiful sunset on the facades of the Upper East Side overlooking Central Park in Manhattan. Two beautiful cities with incredibly rich history, both overlooking beautiful natural settings. Happy Summer to everyone!